40-year old quarterback Matt Hasselbeck has led the Colts to four straight victories. 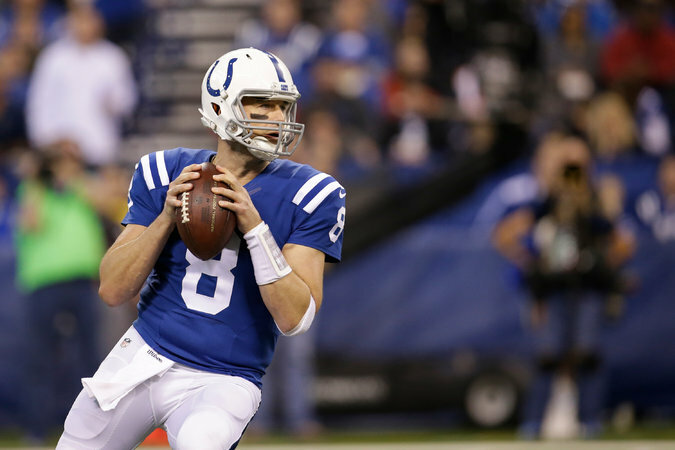 Indianapolis quarterback Matt Hasselbeck, who turned 40 in September, is the oldest quarterback in the N.F.L. San Diego tight end Antonio Gates, 35, is the active leader in career touchdowns. Adrian Peterson, 30, ranks second among all active players in both career rushing yards (behind Frank Gore) and career touchdowns (behind Gates). On Sunday, all three players showed they still have something left in the tank.